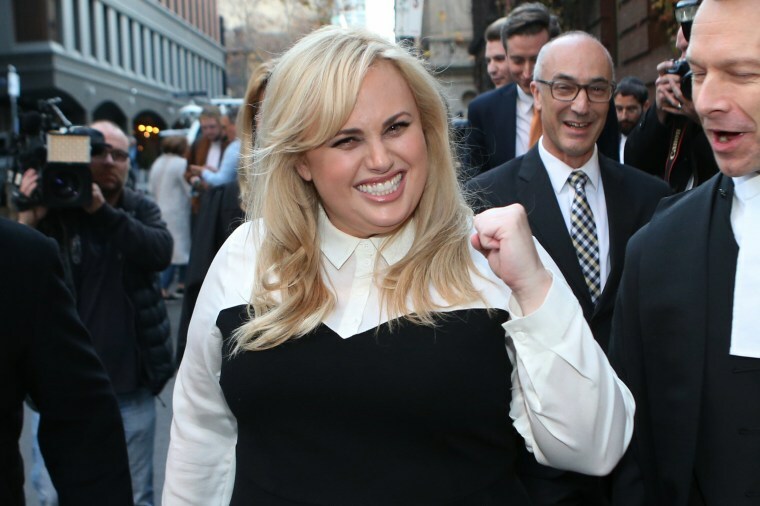 MELBOURNE, Australia — A judge awarded Rebel Wilson record damages of $3.66 million on Wednesday over magazine articles the actress said cost her roles in Hollywood films. Justice John Dixon said a substantial award amount was required to "vindicate" Wilson after her reputation as an "actress of integrity was wrongly damaged." Bauer Media, publisher of the Australian magazines Woman's Day, Australian Women's Weekly, NW and OK, said it was considering the judgment. The 37-year-old Wilson, best known for the comedies "Pitch Perfect" and "Bridesmaids," was in London on Wednesday and her lawyers were unable to immediately talk to her about the decision. "Rebel said that this case wasn't about money," Leder told reporters. "She said that it was about holding Bauer Media to account." Wilson has previously said via Twitter that any damages she won would be donated to a charity, scholarship or invested into the Australian film industry.